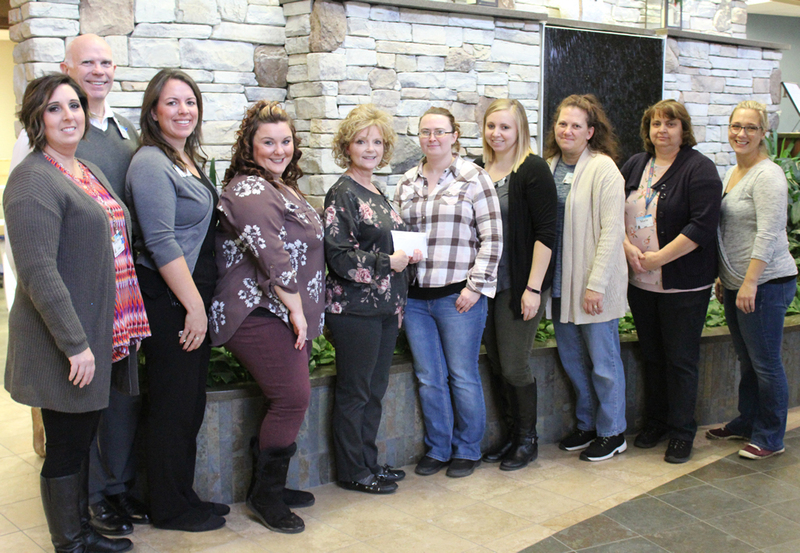 Employees of Memorial Health System (MHS) recently wore blue jeans at work for another “Jeans Day” fundraiser. Employees who make a donation of at least $5 are allowed to wear blue jeans on the last Friday of the month. A total donation of $300 was presented to the Parent-Teacher Association (PTA) of Learn and Grow Depot Child Development Center in Abilene. The day was organized by the MHS Employer of Choice (EOC) committee. Pictured from left are: Michelle McClanahan, EOC committee member; Harold Courtois, MHS CEO; Andrea Taylor, EOC committee member; Cindy Whittington, EOC committee member; Amy Rice, EOC committee member; Jodie Swisher, PTA Treasurer; JoAnna Baker, PTA Vice President; Janette Mohlman, Learn and Grow Depot Interim Director; Marie Malo, Learn and Grow Depot Director; and Helen Pugh, PTA Parent Representative.